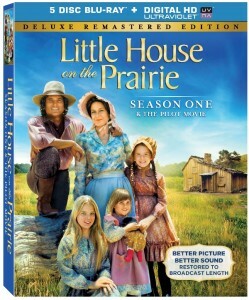 Little House On The Prairie Deluxe Remastered Edition Season One Review - Are You Screening? 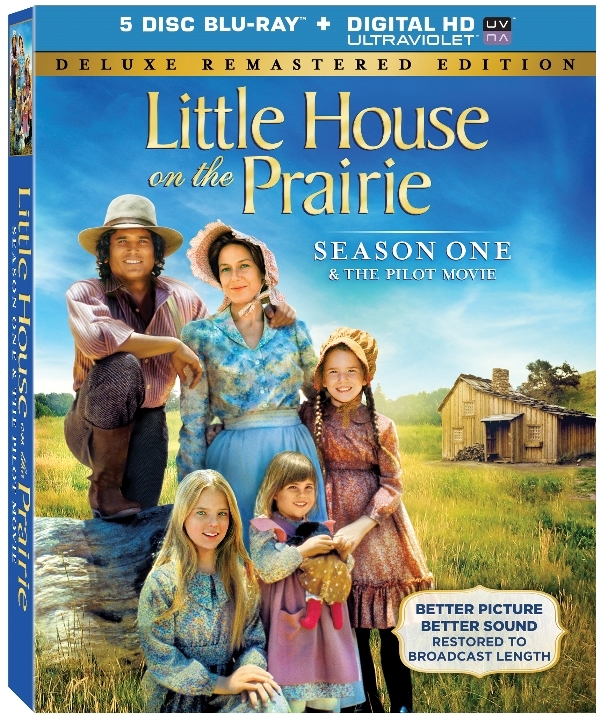 Little House on the Prairie is an institution of television that really needs no introduction, but the newly released remastered edition of season one (and the upcoming releases of all the seasons) are worth a serious look. Some shows from this era and beyond, especially those in fair rotation in syndication, are difficult to push as a truly necessary purchase, but there are a lot of notes to Little House which made the previous releases, and this one especially, true must owns for fans. Of course, that does make for a certain question mark if one already has the previously-released season DVD efforts. First, while many may get a decent fill of the show through syndication, there are a lot of episodes that simply never get play. There are several episodes that are likely seen as too controversial, or just plain overly harsh to a full family sensibility, to come up in syndicated cycles, especially if a network is airing the show earlier in the day. This point comes into play throughout the first season, which is littered with episodes most will barely remember. That’s without even mentioning the pilot movie-length episode which is rarely aired. Going through the first season, it’s immediately apparent why the show became such a favorite. Though occasionally rather syrupy, the show delivers the hard life of those who headed west, often possibly too much so, too quickly, making the Pa’s life itself seem like the sort of story Job would raise his eyebrows at. Looking through the episodes also quickly gives us an idea about how syndication changes the show in our minds. Kicking off with the very popular, Harvest of Friends and Country Girls, we set the stage for how life will play out, and these episodes are aired with great regularity. Also a syndicated favorite, 100 Mile Walk, the episode which finds Pa going on walkabout looking for work when his crops are destroyed, is one that I suspect most people will hardly imagine is only the third episode. The syndicated turns really show up in the fourth episode Mr. Edwards’ Homecoming, which is rarely, if ever, aired in syndication, obviously because much of it focuses on Mr. Edwards’ hating God. A variety of other episodes from this season don’t turn up often, for a variety of reasons, and some of them are among the best the show ever turned out. Unfortunately, some of these episodes are those directed by Victor French, and Michael Landon, and they are episodes that not only exhibit quality writing for television, but take on some of the more interesting topics you see in the series. On the other hand, some of them aren’t aired for reason which are hard to discern, such as If I Should Wake Before I Die, which is an admittedly odd episodic plot for so early in the series, but is a lot of fun. The episode features an aging woman who enlists the Ingalls’ help in faking her death so that her family will return to visit her, which perhaps leaves a bad taste in the mouths of those who decide which episodes to air. Town Party, Country Party, Ma’s Holiday, and School Mom are episodes 7-9, and do not get a lot of attention either. Two of them involve someone making fun of characters with disabilities, which, even when we are making negative comment about doing so, is a hornet’s nest no one want to kick, and the other involves Ma and Pa taking a “romantic holiday,” which no one wants to touch. Continuing the episodes that don’t get enough play are The Raccoon, The Voice of Tinker Jones, The Award, and The Lord is My Shepherd. These do pop up, except The Lord is My Shepherd, but they are quality episodes that are underplayed. This is especially true of The Voice of Tinker Jones, which not only offers up some great character development, what with the Reverend Alden feeling responsible for dividing the town, but also manages to under-treacle the children’s solution, which is a task that must have looked nearly impossible on paper. The Award finds Ma and and Mary at odds, which isn’t popular, despite it being one of the best episodes of the season… plus, Mary burns down the barn, which isn’t a lot of fun. The Lord is My Shepherd is one of the most unfortunate syndication no shows. 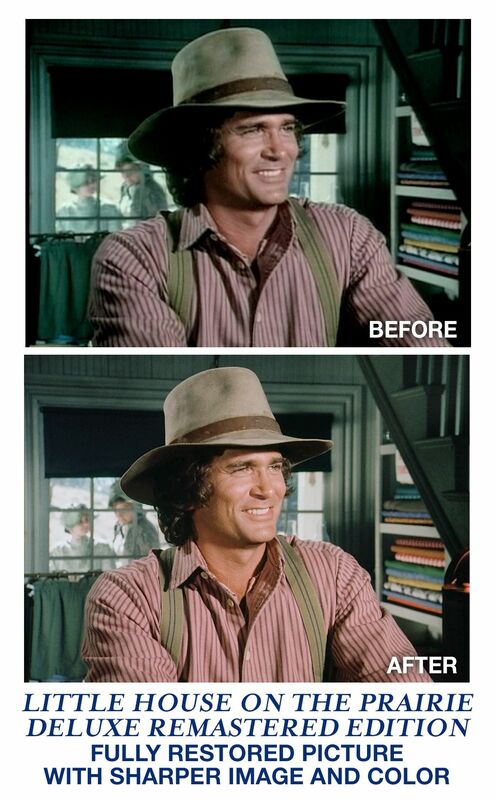 A solid, and well-written episode, it is also one of only a handful directed by Michael Landon in the first season, and includes the famous guest appearance of Ernest Borgnine. Unfortunately, it involves the death of a newborn, and a small girl blaming herself it. After this point most of the episodes get a fair shake, and are among the most familiar to those who are largely syndication-familiar. 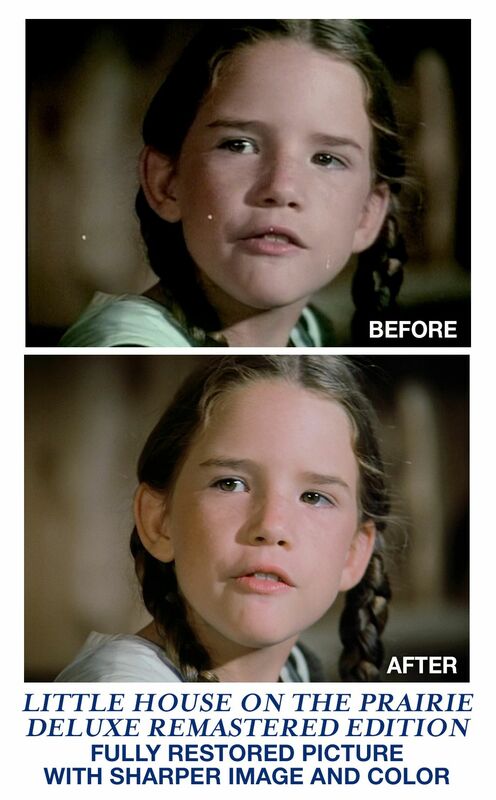 With the exception of Survival that is, the episode which brings the Ingalls face-to-face with hunted Indians. Clearly an episode that isn’t comfortable for many these days, it is a smart, and tightly-written episode. Of course, the real question here is whether or not the new release is worth it, especially if you happen to have bought the previous home release editions. People might be looking for more in the way of special features, especially when the show has been released not all that long ago. There’s also the suspicion that surely there is a lot of footage that might be put together. That said, the main sell of this release is the remastered video. That, and the fact that you’re getting every episode in their uncut versions. The videos are amazing frankly, and compared to the previous release version are almost unbelievable. Considering the age of the show, this is a release that shows off the possibility of reworking and remastering, because you can hardly think that, what with it being 1974, anyone has seen the shows this well. The color and depth of field are almost bizarre, with even shadows (common in the show with the candlelit interiors) producing clear and rich images. Beyond the video, there is a treat to the uncut editions, especially among the episodes that do get the syndicated play, because some of them answer those niggling doubts you had about how the episodes play out. There are bonus features, though they are a little slim. 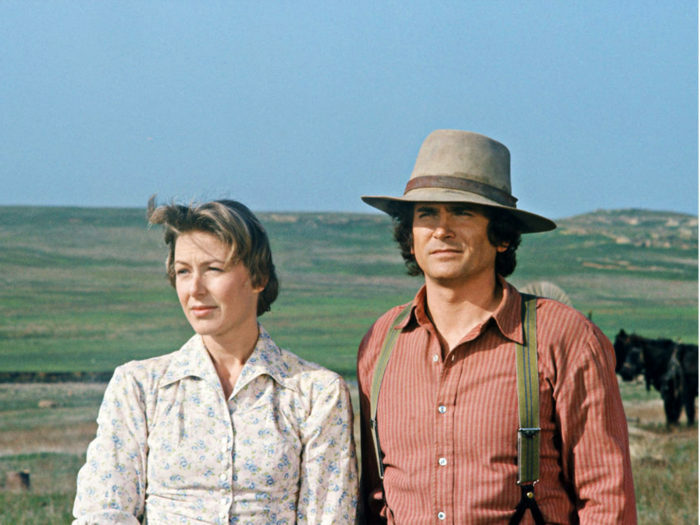 You get the original screen tests for Michael Landon and Melissa Gilbert, which is a treat for fans, but doesn’t quite amount to as much as you might hope. 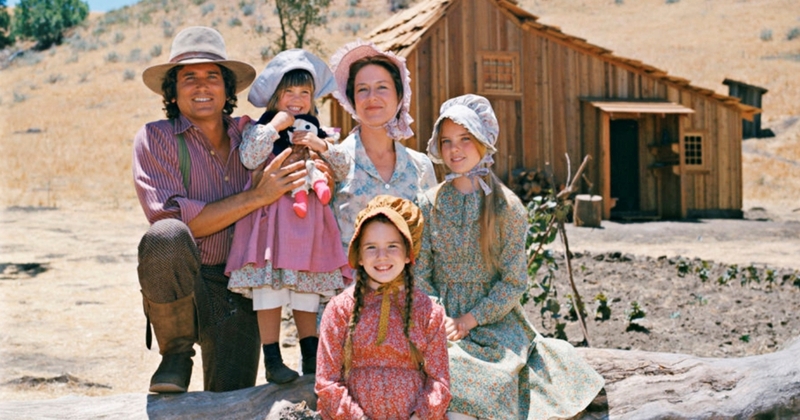 Then there is The Little House Phenomenon: Part One – A Place in Television History, which is one part of an extended effort which will span all of these new releases. This is one fans of the show will love, though it might have been a little longer. As the title suggests, the focus is on putting the show itself into context, both at the time of the original air dates, and over time into the present. You get a cool walk through the days when the show originally aired. With something like this, there is something to be said for taking a moment to look at the societal and cultural events of the mid-to-late 70s, and how they might have helped determine the show’s popularity. Overall, this is an absolute must own, even if you already have the earlier sets. Dish those off to a friend, and pick these up.